I am unapologetically a monarchist :) I do have a wonderful respect and admiration for Queen Elizabeth II and as a historian I have spent years collecting Windsor family memorabilia from Queen Victoria onwards! So to be living through a Jubilee is very exciting times! 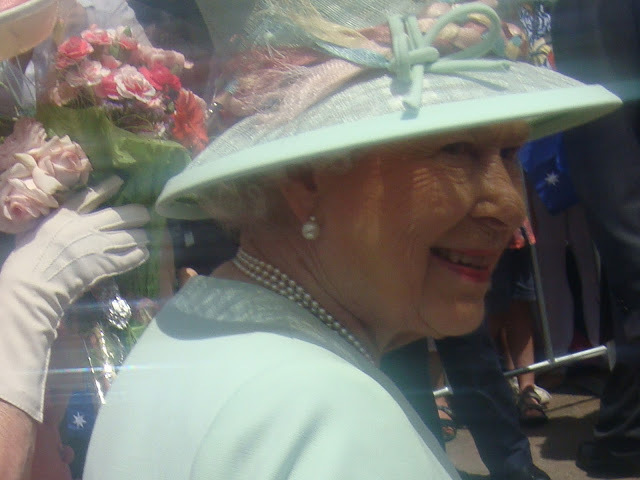 I had the pleasure of seeing Her Majesty in Brisbane in 2011 with my good friend Maria and her little girl Nina (we learnt how to curtsy and were front row when she walked by!!!) It was very exciting and thrilling to see one of my heroines and our Queen! 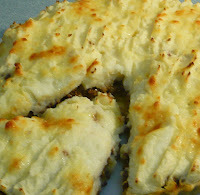 To celebrate her Diamond Jubilee I looked up some of my old books and found a passage which noted some of Queen Elizabeth II favourite foods...and I was happily surprised to find one of them is Shepherd's Pie! I also found out a giggly fact - the royal chefs sieve tomatoes and or cut out seeds for the Queen and this is something I do which causes much humour amongst friends and the man as I patiently cut out seeds when making salads or sieve tomatoes to make my sauces :) I was glad to see I was unintentionally upholding a royal tradition!! Happy Diamond Jubilee and enjoy some of the basic British favourites in the coming days! In a large non-stick dish heat the dripping (you can buy this from the supermarket). Add the onion and cook for 5 minutes or so until the onions have a light colour to them. Take them off the heat. Grab a separate frying pan, heat some oil and cook the mince. Stir the onions and add the flour and stir (this should create a thick juice). Mix well and add the thyme and bay leaves and mix through. To the onion mix add the chopped tomatoes and beef stock and Worcestershire sauce. (Keep a little bit of the stock for later (around 3/4 cup). Grab an empty mince pan and put in the cooked mince. With the pan that you cooked the mince in pour the stock mixture into the pan, scraping off any bits of mince left in the pan. Pour the remaining stock into the pan containing the sauce mixture. Bring the mixture to the boil, adding a pinch of salt and freshly ground black pepper and let it simmer for about 45 minutes. For the mash, boil the potatoes, drain them and place into a bowl. Add the milk, butter and egg yolk, and mash together. Season as you like, with some salt and pepper. Place the the meat into an dish and spread the mash on top of the mince. For a little extra flavour you can put a small sprinkling of tasty cheese - but I like to stick the classic recipe.